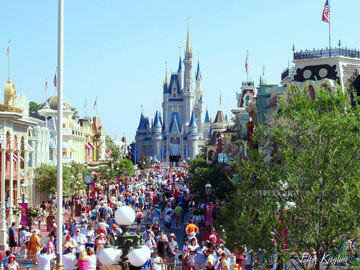 Long before Disney turned Florida into a favored destination for people from all over the world, Florida was known for miles and miles of beautiful beaches. 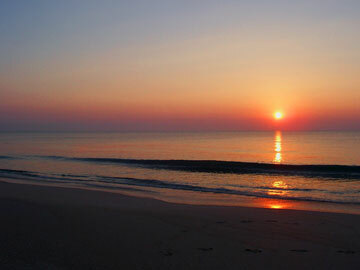 Seeing the sun rise over Vero Beach is one of the few things that Michael considers worth getting up early to do! Interestingly, we were not alone on the beach. Others were fishing, and there was even a group playing volleyball. As the sun rose, Andrew played in the sand and eventually found some shells to return to the sea (like all boys, it is hard for him to resist throwing things into water!). 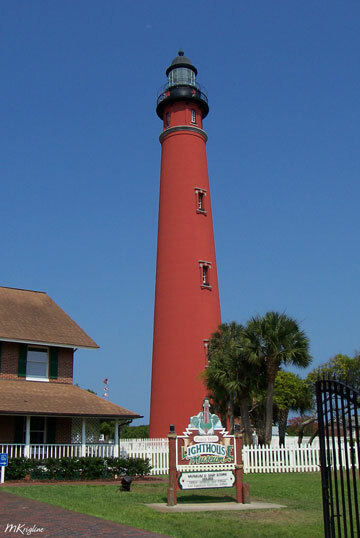 This lighthouse is a few minutes from Daytona Beach. Structures like this one dot the Atlantic coast, and before radios and satellites the bright lights on top guided ships to safe harbors. 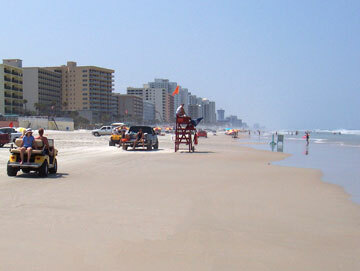 Up the coast from Vero Beach is the famous Daytona Beach. It is one of the few beaches in the US that allows cars to drive on the sand, and we couldn't resist the temptation. 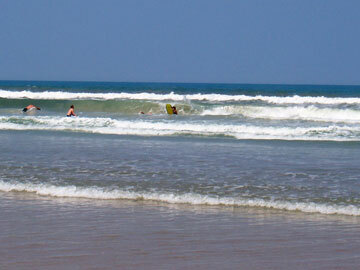 Below, others enjoy a dip in the ocean and a bit of surfing. While Vivian and Michael finished some important things in South Carolina (like minor surgery for Vivian! 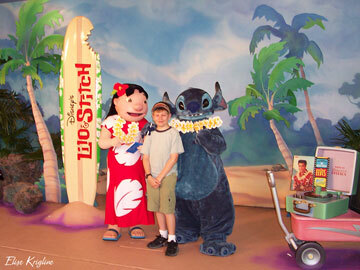 ), Michael's parents took Andrew to Disney World in Orlando. Michael's parents met in high school in Miami, Florida, and Michael has fond memories of visiting his grandparents in Florida as a child. The state population (2002 estimate) is 16.7 million, making it the fourth biggest state.  Nonetheless, only one city has more than 700,000 people (Jacksonville) and none of the other cities is bigger than 500,000.